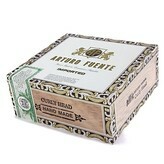 Arturo Fuente Curly Head cigars are affordable Cuban sandwich style smokes. These Lonsdale’s give you the opportunity to enjoy the rich and nutty flavors of this legendary brand at a fraction of the cost. At the end of the 19th century, patriarch Arturo Fuente learned the fine art of growing and processing tobacco and creating handmade cigars in Cuba, establishing A.Fuente Cigar Company in 1912. Today, the family continues the tradition of producing more than 30 million cigars every year. Arturo Fuente is world renowned for producing ultra-premium, award winning cigars. So, to experience a Fuente at a ridiculously low price? I was skeptical at first, but the no nonsense Curly Head Natural did not disappoint. The price point makes it a great purchase by the box. The naked (without band) Curly Head is a rustic cigar perfect for the beginning cigar smoker. The blonde Ecuadoran Connecticut Shade wrapper encloses a blend of Fuente’s premium blend of Dominican binder and filler. Although simple and rugged in appearance the smoke is mild and smooth and flavorful with a nutty sweet taste. Woodsy flavors are constantly evolving from cedar to pepper. 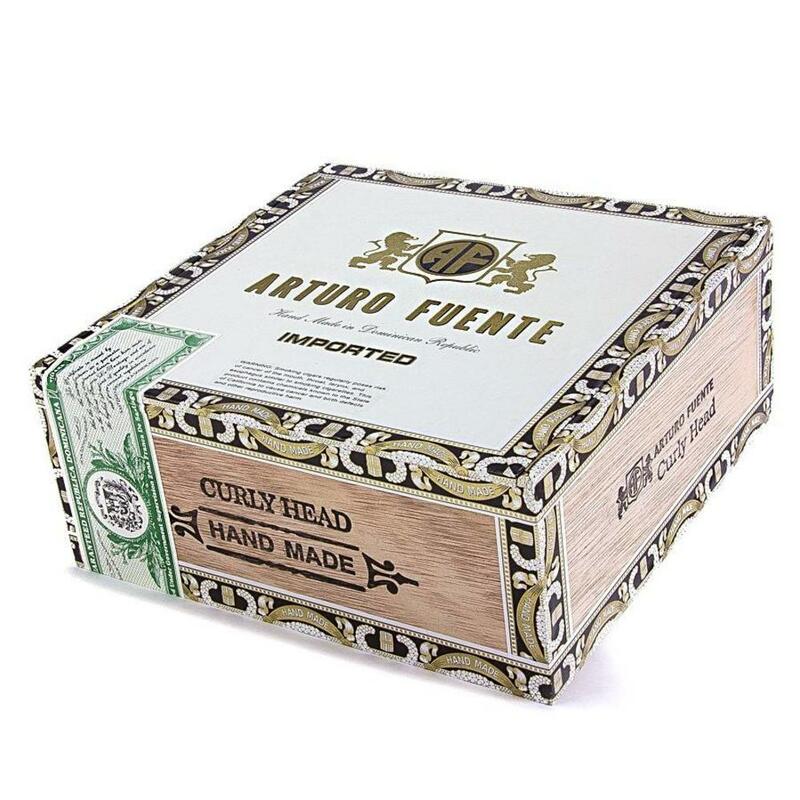 Arturo Fuente Curly Head Natural is the ideal everyday cigar . In the morning, Curly Head is mild enough to be enjoyed with your favorite cup of coffee. If you prefer milk in your coffee, the Curly Head Natural's lighter wrapper adds to the enjoyment of a creamy, refreshing cup of Joe. The combination makes for a more enjoyable cigar experience. An even better experience is finding a box of these online at a great price at elcigarshop.com!